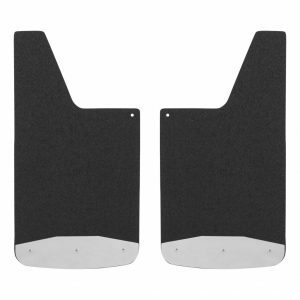 Protect your truck with the Husky Liners Mud Flaps. 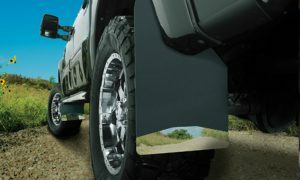 Made from durable AntiSpray material, the Mud Flaps are designed to funnel the muck back down to the road. They are available in a variety of sizes. Visit us to find yours! For the front or rear of the vehicle, LUVERNE Textured Rubber Mud Guards add style and body protection no matter where the road leads. These mud flaps are constructed from heavy-duty, recycled black rubber that stands up to road debris and sheds water with ease. They also feature 18-gauge stainless steel plates to help protect the bottom edge and extend the life of the mud flaps. 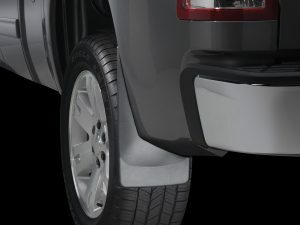 When it comes to protecting your pickup truck, LUVERNE Textured Rubber Mud Guards are made to master the job.